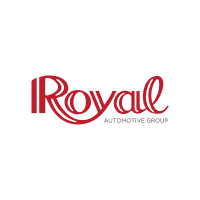 Royal Automotive Group is a Tucson owned family business, The Weitman family has been part of the community for over 40 years, selling and servicing thousands of vehicles. Royal’s philosophy has always been to treat our customers like family. And make sure your car-buying and more importantly, your car ownership experience is the best you’ve ever had. At Royal, our customers come first! Work with ONE non-commission sales consultant through the whole process. We won’t hand you off to the finance department or pass you around to different managers. Royal Automotive Group constantly monitors the market and offers extremely competitive pricing with no addendums, no add-ons, no extras and no haggling. We give you one price, our best price upfront! Non-commission Sales Staff – Our expert sales consultants are dedicated to helping you find the best vehicle that fits your specific needs for the lowest price. Continual training ensures they are experts on each model. Customer satisfaction is their priority. 72 hour buy back guarantee – Love your new vehicle, or bring it back, it’s that simple! If you don’t like your selection, simply bring it back within 72 hours and we will help you find another vehicle that is a better match for you. Trade – In Value: Royal uses several standard industry tools to research current market value and demand of your trade-in. We provide a written offer to purchase our vehicle that is good for 7 days or 300 miles and we’ll buy your car, even if you don’t buy a car from us! Transparent pricing: Our best price right up front. No haggling. No hidden fees, no add-ons. We shop the competition daily and adjust our prices based on the competition, average market transaction cost, as well as KBB.com and Edmunds.com. Warranty Forever – A lifetime powertrain warranty is included at no additional cost on most new and used cars we sell. No one else in town offers Warranty Forever. No one. Royal ONE – One sales consultant will handle your purchase from start to finish, we won’t hand you off to a finance person or manager. Service after the sale – Whether you need a refresher on how to pair your Bluetooth to your new car, need an oil change, or other repair or collision service, the expert technicians at Royal will see you through. Welcome to the Royal Family! Thank you for letting us help you find your new car!